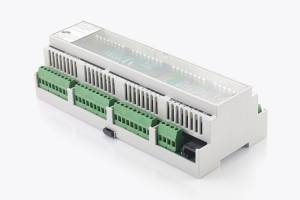 The DIN rail series of lighting control modules provide a flexible solution for the control of lighting loads where a traditional 10 way lighting control module (LCM) may not be practical. The units can be supplied as DIN rail modules or mounted within a DIN rail enclosure (HW in part number). The EBR-DIN-LCM6-6-AD & EBR-DIN-LCM6-6-DD series of lighting control modules (LCMs) are used as part of the RAPID lighting control system to control lighting. The RAPID DIN rail mounted LCM has 6 individually addressable outputs to allow for fully independent control of DALI/DSI (DD version), 1-10V (AD version) or switching only fittings. All LCMs are available with CP’s patented Energy Measurement technology as an option for measuring the energy consumption of all luminaires connected to the LCM. Separate relays are used for emergency testing. This LCM also has a total of 10 SELV switch inputs. 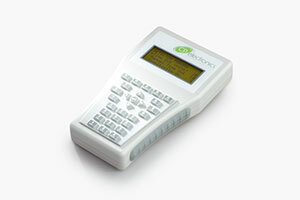 The RAPID range of products features patented Energy Measurement technology. This allows actual energy usage data to be obtained for any device on the system, from individual luminaires to building-wide. All reportable information is logged in a database and made available for viewing via a web-based reporting suite. The raw data is also available in XML format so that the user can utilise a third party tool for analysis.